Apple has acquired Chomp, which is a two-year-old start-up whose main product is an in-depth app store search for both the Apple App Store and the Android Market. Chomp helps users search for and discover new apps not only by name, but also by topic and by app function. For example, you can type in "puzzle games" or "chat apps" to discover apps you may not have previously known about. I was just arguing the other day that iTunes and the Apple Store need a makeover--and Apple clearly agrees with me, because it spent an estimated $50 million nab Chomp, according to Business Week. Apple hasn't said what, exactly, it will do with Chomp--as usual. But I can think of a few ways this search tool can improve the App Store. Earlier this week I talked about iTunes' poor user interface, and the App Store is even worse. Open up the App Store on your iPhone, and you get an abnormally tall vertical list of apps. The app's name, price, and publisher are listed, but there's no description of the app--so unless you're already familiar with the app, you'll have no clue what it does. The App Store is only useful if you know exactly what you're looking for. For example, it's a great resource if someone tells you about a specific app to download, because you can pull that app up right away. However, with Chomp integration, the App Store could become a whole new animal. It could actually make searching for apps a pleasurable experience. Chomp uses a vertical interface, but replaces the App Store's cattle call of apps with clean categories. Tap on a category and detailed info about each app is shown. You can even go further into sub-categories by using highlighted tags. For instance, if you tap on "Voice Navigation," Chomp opens up more categories such as "Car Navigation" and "Trail Maps." Adding smooth, branching categories to the App Store will let users discover even more apps, something that the current App Store does not currently do. 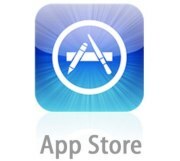 Apple is already approaching 25 billion apps sold in less than four years. Imagine how many it would sell if it had a moderately decent App Store interface?